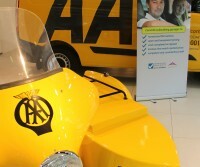 We are very proud to have gained 100% from our unannounced Motor Codes AA inspection for our Garage in Great Yarmouth. This gives customers reassurance that we are reliable, honest and fair, with trained, competent and conscientious staff. We would like to thank all of all the team who have worked hard to help us achieve this fabulous score . As a Garage in Great Yarmouth we take pride in our customer feedback. 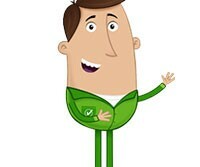 just click on the link and review our business to get the chance to win £500 of lifestyle vouchers. We are proud to be members of the Trading standards institute approved Motor Industry Code of practice. Don’t get caught out this winter. If you are looking for a Garage in Great Yarmouth to carry out a FREE battery, alternator and Anti-freeze check, give us a call. Come and take advantage of our free battery health checks and alternator output tests. We also will test the strength of your anti-freeze to see if it is strong enough for winter. If you are looking for a Garage in Great Yarmouth that offers a payment plan for your vehicles repair bills, look no further. 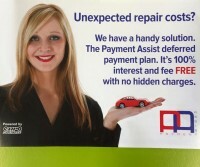 We at Autotech offer a 100% interest free payment plan for your repair bills (no credit check carried out). please contact us for more details. A fantastic solution that could help get the work done. 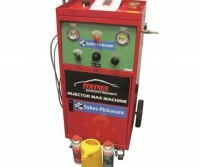 We offer this service for a special price of £60+vat. Please feel free to call and discuss this treatment with our mechanic. We recommend a fuel injection system clean every 12,000 miles/1 year depending on driving conditions. Most modern cars today come with air conditioning systems integrated into the car. The system comprises of the fan, heater core for heat, the evaporator for cooling,and the distribution system for delivering the air to various parts of the car. 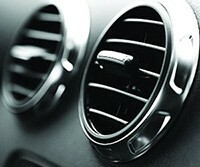 Many people think that using the air conditioning is obvious, that is there just cool the car. We need to move away from the fact that air conditioning means cold and is only used to cool off in the summer. The modern air conditioning system is heating and cooling and sometimes filtration depending on the system. Air comes in from the outside through the the pollen filter if fitted, through the evaporator, the heater core then through he distribution system. 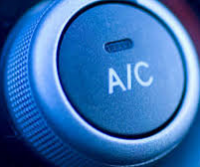 When you turn the air conditioning on the compressor will run to cool the car down and take moisture from the air. Air is then fed through the heater core to heat it to the desired temperature. Some modern systems only need a temp input from the driver or passenger then they system will do the rest, there are also systems now that can deliver different temp settings to different parts of the car at the same time. Summer use of the system seems to be the most obvious use for the air conditioning system, by turning the system on and selecting cool, the heater output is turned off if cooler or is required press recirculate which will recirculate air that has been cooled already. A little known fact is that you Air Conditioning will help quickly clear your windscreen in the cold weather. So when you’re looking for a Garage in Great Yarmouth for Air Conditioning Refills or repairs, why not give Autotech Garage Services a call. 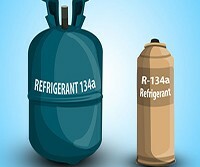 New EU regulations controlling the buying and selling of r134a refrigerant have come into affect from the start of January. The changes are designed to improve compliance with r134a rules and regulations. These regulations have required all garages that buy r134a gas have to have a F-Gas qualified technician since 2010. Surveys have shown that up to 50% of garages have simply ignored this requirement but these new changes are designed to make it more difficult for garages to buy r134a gas from suppliers when they don’t have F-Gas qualified technician. The new changes have wide ranging implications for garage owners, technicians and also suppliers of A134a. The EU working through DEFRA have put extra responsibility on the suppliers of a134a to ensure that the garages they are supplying have the relevant qualifications. Where the F-Gas regulation 2006 placed legal responsibility with the buyer the 2014 regulation places responsibility with the buyer and the seller. We at Autotech Garage Services strive to be as up to date as possible and we are fully compliant with all regulations concerning F-Gas handling and all our customers can be safe in the fact that our staff are trained and certified. If you are looking to have your MOT in Great Yarmouth, you can book it online via our website. Just go to our MOT booking page, fill in your details and we will do the rest. Don’t forget that we also offer a pick up and drop off service within the local area, so we will drop you back home or to work while your car is in for its MOT and pick you up to collect your car. Please contact us for more details about this service. Terms and conditions apply. If you are looking for air conditioning refills in Great Yarmouth, We currently offer this service for only £19.99+VAT. In addition to this we can also offer an air conditioning steriliser and deodoriser service that eliminates bacteria and mould build up in your air conditioning system, this can be added on to your air conditioning for an extra £11.50+VAT. Are you looking for a local garage you can trust for a car service, MOT or car repair? 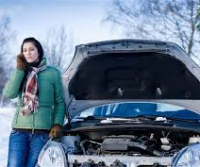 Then why not try Autotech Garage Services, the Garage in Great Yarmouth you can trust. Autotech Garage Services are approved by the Good Garage Scheme and this ensures that we abide to their strict Code of Conduct and will always have your best interests at heart. If your vehicle is under warranty, it can still be serviced by a Autotech Garage Services without invalidating the warranty conditions. The Good Garage Sscheme is run by Forté and are dedicated to driving up standards in the car servicing and car repair market, ensuring consumers get a fair deal.